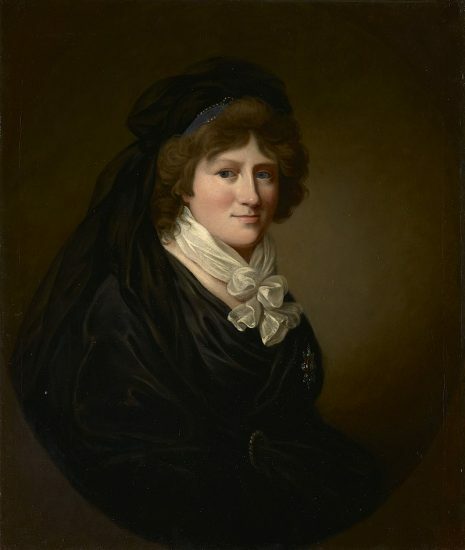 Augusta was born on 19 January 1757 into a relatively minor noble family which was part of the Reuss junior line who ruled over an area in the centre of modern-day Germany. Her parents were Heinrich XXIV, Count Reuss of Ebersdorf and Karoline Ernestine of Erbach-Schöneberg. If it were not for her marriage and offspring, we would probably know little about Augusta’s life. Augusta grew up in Ebersdorf in a deeply religious family, in an area known for the Lutheran movement of Pietism which promoted simple Christian living and deep piety. 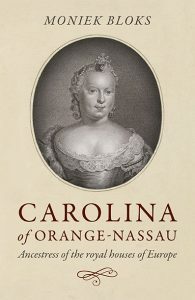 One of her ancestors is even credited with leading the Moravian church. Augusta would take the values of her religious upbringing through to adulthood. 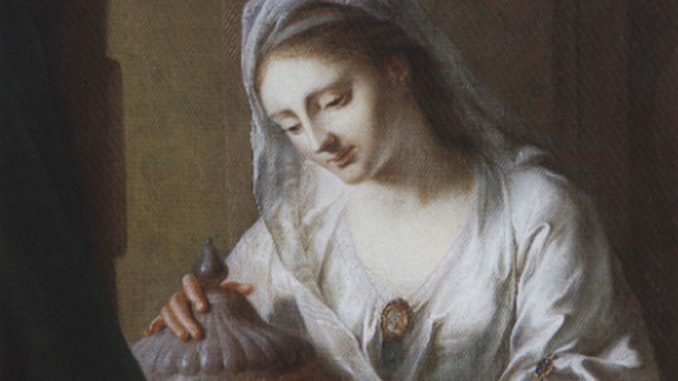 In 1775, wishing to find a husband for his daughter, Heinrich XXIV had a portrait of Augusta created in which she was styled as Artemisia who represented the most devoted of wives. Heinrich showed the wonderful painting off at meetings of the Imperial Estates in Regensburg, and the tactic must have worked as Augusta was married by 1777. Augusta was married at the age of twenty to Francis who was Duke of Saxe-Coburg-Saalfeld. Francis was already in love with his wife before they were married and had bought the Artemisia portrait to admire her. At first, it did not look as though the pair would ever be married as Francis was forced to marry a relative, but when his first wife died just seven months after the wedding, Francis was free to pursue Augusta, and the couple were wed.
Augusta and Francis were happily married and had ten children, born between 1778 and 1792. Augusta was the dominant figure in the family and she was very much against republicanism. Francis was considered to be weak in character and healthy and he enjoyed arts and botany. Three of the children died in early childhood as was common in the period, but the other seven thrived and married into the royal houses of Europe and achieved much greatness. Augusta and Francis’s youngest surviving child Leopold is probably the most well known as he went on to become the first King of the Belgians. This upgrade would have pleased Augusta immensely. Victoria and her husband the Duke of Kent should not have become as historically important as they did and their fame came from a series of chance events. In 1817, a succession crisis was looming in Britain, and so the three unmarried sons of King George III were encouraged to marry and have a child quickly. The Duke of Kent and his wife produced a child who lived and who was therefore destined to be monarch. Augusta declared, “Again a Charlotte. The English like Queens and the niece of the ever lamented beloved Charlotte will be most dear to them.” Their daughter went on to become Queen Victoria of the United Kingdom and Ireland and Empress of India. The Duchess of Kent’s brother Ernst who had married Louise of Saxe-Gotha-Altenburg went on to play a large part in Queen Victoria’s life as they were the parents of her husband Prince Albert of Saxe-Coburg and Gotha. Albert was born just months after Victoria, and the pair were even delivered by the same midwife. In 1821, it was Augusta who first suggested that her two grandchildren be married to each other when the pair were toddlers, and their uncle Leopold, King of the Belgians backed the plan when they came of age. The marriage took place in 1840 and was a happy and successful union which went on to produce nine children. Through her grandchildren’s union, Augusta’s descendants became rulers and consorts of The United Kingdom, Norway, Greece, Spain, Romania, Russia, Hesse, Germany and Saxe-Coburg and Gotha.